Learn how to introduce solids to your baby and lay the foundation for life-long healthy eating habits. 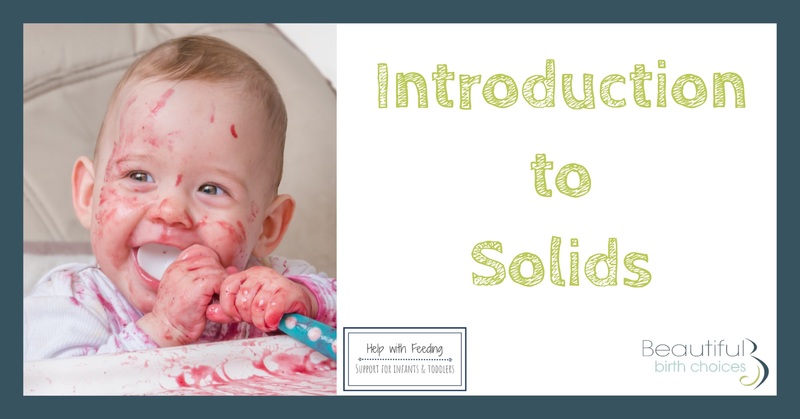 Led by pediatric feeding therapists, this class will provide an outline of the various approaches to introducing solids, important skills needed for feeding as well as related developmental milestones, and theories on managing mealtimes in the first two years of life and beyond. In this 90-minute class, you will learn how to create positive mealtimes, support the development of oral motor coordination, sensory processing and self-feeding skills, and manage some of the common challenges during this transition. Non-mobile babies are welcome to accompany their parents to class. Stacia Paganelli, MA, CCC-SLP, CLC and Nicole DiMartino, MS, CCC-SLP, CLC are pediatric speech-language pathologists and certified lactation counselors who specialize in evaluation and treatment of feeding difficulties in infants and young children. They provide Early Intervention and outpatient feeding services at Step by Step Developmental Services and Pediatric Therapy Center here in Rochester, NY. Their website, Help With Feeding, provides developmentally-appropriate information on feeding with the goal of supporting parents of infants and toddlers struggling with breast/bottle-feeding as well as the transition to solids and table foods.